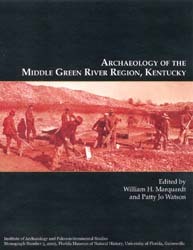 The shell-bearing sites of the middle Green River region in western Kentucky have played a defining role in how archaeologists conceptualize Middle Holocene fisher-hunter-gatherers. This book presents new interpretations of data gathered over a 30-year period about the Native American people who lived along the middle Green River from about 4500 to 2000 B.C. Interdisciplinary by design, the Shell Mound Archaeological Project directed by William Marquardt and Patty Jo Watson focused first on subsistence, particularly the emergence of indigenous agriculture in eastern North America. As more was learned, the research focus broadened to include not only archaeobotany and zooarchaeology, but also geoarchaeology, pedoarchaeology, archaeomalacology, paleodemography, dental biology, and other specialties. Results of all these investigations are included, as well as comparative studies of stone, bone, and shell artifacts. Accounts of how archaeologists have revised their interpretations of the Green River sites over time provide insight into the history of archaeology in the Mid-South and Midwest. In the final chapter, the co-editors synthesize their findings and suggest research directions for the future. 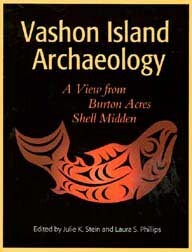 From the University of Washington Press web site: The Burton Acres Shell Midden site is located on Vashon Island in Puget Sound, at an advantageous spot for fishing and shellfishing. Although it had been the focus of preservation efforts, little was known about the contents of the site until a winter storm in 1995 caused severe erosion. In response, a collaborative effort between the Burke Museum, University of Washington, King County Landmarks and Heritage Commission, the Puyallup Tribe of Indians, Vashon Park District, and McMurray Middle School resulted in a unique two-week public project involving 375 volunteers. Members of the public were invited to share in the discovery process, following archaeological protocol from excavation to artifact cataloging. This book continues that discovery process, presenting and explaining the data gleaned from the site and offering interpretations based on the various objects found that speak to people's lives at this place. Multiple perspectives on the history of Burton Acres Shell Midden express the collaborative nature of the project, with contributions by Puyallup tribal member Judy Wright, cultural anthropologist Llyn De Danaan, and several archaeologists including a summary by Julie Stein. Vashon Island Archaeology describes the step-by-step guidelines developed for this public investigation, useful for other archaeologists involved in similar projects. It also provides insight into the careful and extensive planning required for such an endeavor. Finally, it demonstrates that a community that participates in the discovery of their local history gains a broad understanding of the importance of stewardship, preservation, and interpretation of cultural resources. Almost every artifact in archaeological analysis originates in or on the ground. While there are elaborate methods for extracting and analyzing artifacts, treatment of the matrix within which they are located is often unsophisticated and does not include systematic analysis. Sediments in Archaeological Context concerns the analysis of this matrix and the potential use of sediments to answer archaeological questions. Describing sediments and sampling them in appropriate ways do not replace the study of artifacts, but they can provide additional, useful information regarding a site complex, its physical environment, and the relations of artifacts to each other. Each chapter in the volume considers sediments within a specific context. Topics include sediments found in a variety of environments: cultural environments, rockshelter and cave environments, dryland alluvial environments, humid alluvial environments, lake environments, shoreline environments, and spring and wetland environments. Sediments in Archaeological Context is intended for every archaeologist who investigates sites in depositional contexts. From the University of Washington Press web site: Every year thousands of people visit the San Juan Islands off the coast of Washington State. 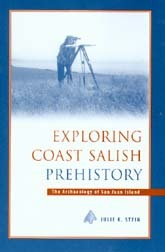 With a copy of Exploring Coast Salish Prehistory in hand, they will enjoy an introduction both to archaeology in general and to sites within San Juan Island National Historic Park. The Coast Salish people inhabited the San Juans for 5,000 years. One important site on San Juan Island, Cattle Point, was a summer camp where residents engaged in fishing and shellfish harvesting. Native peoples' recollections of activities there have been confirmed by physical evidence in the form of shell middens, fish bones, and other artifacts. Another San Juan site, English Camp, was a winter village site for 2,000 years. Structure remains provide insight into how people's lives and activities changed over time. Tools found at the site have allowed archaeologists to deduce that early residents ate camas bulbs and other plants, engaged in woodworking, weaving, fishing, and carving, and manufactured and used stone tools. archaeological practices are enhanced by numerous illustrations. Clear photos of different types of artifacts, topographical maps, and other images help the reader to understand how people lived in the San Juans thousands of years ago. All disciplines have an informal scale at which observations and interpretation are conducted. Interdisciplinary research, however, brings those scales together, impacting strongly the success or failure of the joint effort. This volume examines the importance of scale in interdisciplinary geoarchaeological research. The authors begin with a definition of scale and a history of its importance to research. Different scales of data acquisition and interpretation in interdisciplinary projects are examined and considered for site classification, soil science, absolute and relative dating, dendrochronology, geophysical research, and obsidian provenance studies. Difficulties are illuminated and suggestions are given to help avoid pitfalls. 1991 Coring in CRM and Archaeology: A Reminder. American Antiquity 56:138-142.